This picture shows part of Tzorti bay on Alonissos island, were we found a lovely secluded anchorage on our way to either Peristera island - which is draped alongside Alonissos island - or towards the island of Kira Panayia further north in the Sporades. Kira Panayia is also known as Pelagos island and is part of a small (sporadic) group of islets: Yioura, Psathoura and Piperi (the Pepper Pot), which form the core of the marine park or nature reserve that was founded to protect seabirds and particularly a rare species of seals called the Mediterranean Monk Seal. Yacht charter holidays start from Skiathos port, most of the sailing holidays here concern bareboats or regular crewed charters with some flotilla fleets in the main season of August. 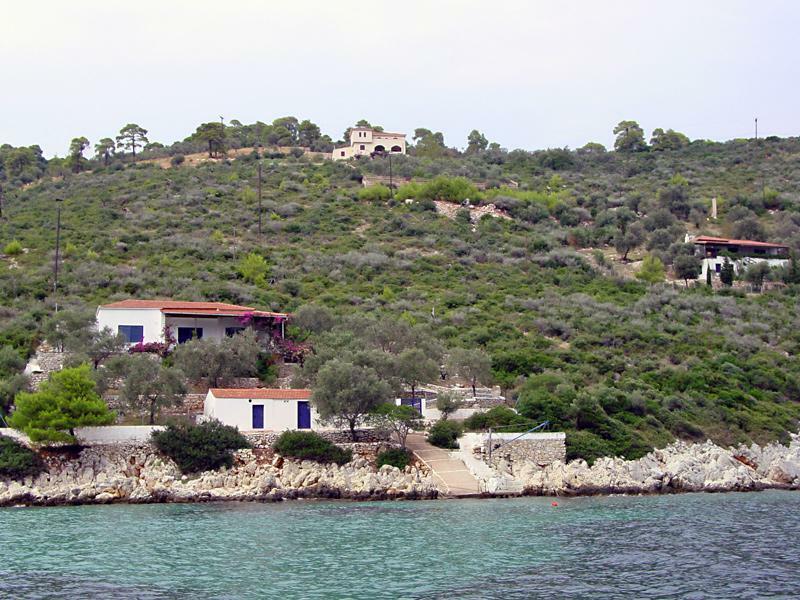 So, few luxury crewed charters or luxurious cruise ships around and unfortunately also few gulets or blue cruises.
.: Back to our yacht charter holiday in the Sporades :.